Below is a translation of several pages from "The book of the Vyborny Family" about the Vyborny family which settled in Libenice house No.8. It describes briefly Jan(*1811) Vyborny who is the patriarch of the most of the Wyborny's and Wyborney's of the United States, his ancestors, and other relatives.
'' ...The third son was ... Josef Vejborny [7Josef*1779] born in 1779 at Puker village. His father [8Jan*1747] bought him house No.22 at Horany village for 1800zl [the currency of that time] from Jan Stary, a neighbor from Kutna Hora. The next year he married Alzbeta [Elizabeth] Rezacova, who was 17 years old (her father was Jiri Rezac) and from Libenice village No.5. He [7Josef*1779] resembled his father both in looks and character (according to Matej Vyborny [his son] from Mancice village, born in 1812). 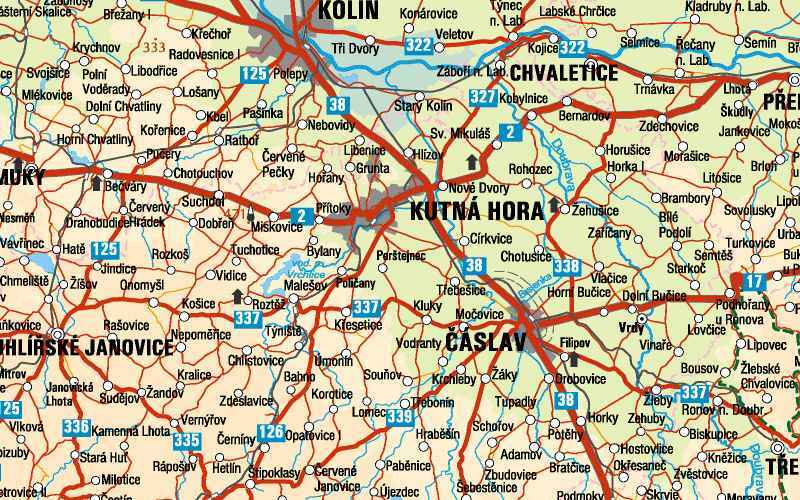 In 1803 he [7Josef*1779] moved from Horany to Libenice village house No.8. He had more children, however only three of them survived: Josef, Jan and Matej. House No.8 was called "Kouteckys" [after the previous owner of the house - people liked to use such nicknames to distinguish different members of the Vyborny family that lived at Libenice village]. He was very charitable and the evangelic church exists at Libenice mainly because of his efforts. -[some 5 km to the west from Kolin town] and when his son [of the 5th generation] was grown, he moved to the Radovesnice village near Tynec town. He bought an inn and from there he moved to America with one of his sons [i.e. of this 5th generation] to join his brother Jan [6Jan*1811] of Miskovice village. His second son 5Matej*1847 had became the director of the school of economics at Kromeriz town [Moravia]). Josef [ 7Josef*1779] bought for his son Jan [6Jan*1811] one-half of the farmstead at Miskovice village [2 km to the west of Pritoka village]. I [the author of "The Book"] haven't found his name written in land archive books. About 1840 [6Jan*1811] he was married to Anna (Vejborny). He [6Jan*1811] was blind in one eye. He was not a very good farmer. He was more interested in books than in anything else. He was very well-read, and self-educated. He liked to write verse (songs). Mr.Prochazka (his apprentice and one of his best friends) had kept one of the songs for a long time. He [6Jan*1811] was obstinate, inflexible, extraordinary liberal-minded and this character forced him to move to America around 1851, as it was his ideal. He moved there together with his family (5 sons) and became a farmer in the state of Wisconsin (the name of the town was "Wotaton...?" [according to the czech spelling something like this sounded for the Czech audience the name of the town there - it corresponds closely to the english pronounciation of the name Watertown; we can compare this point to "The biography of Jan (*1811) and his sons in America " describing the period of Jan's life in Watertown, Wisconsin]). He invited his older brother Josef [6Josef*1800] to join him. 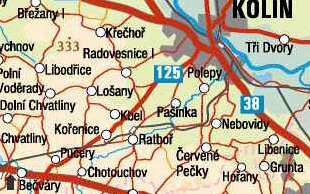 ....When Havlicek Borovsky [KHB] was at Kutna Hora he used to visit the Mojzis family and the Vyborny "Koutecky" family at Libenice. The farmer [Vyborny] was his great friend, no wonder he [the farmer] was interested in some political activity, too. He liked to give speeches at various meetings in Kutna Hora too, and because of his contacts to KHB he had to go for questioning. Matej Vejborny died at Mancice village, according to his son at rather high age (at the end of 19th century)''.